It’s been raining every day this week, which has really slowed the writing of my new book. But at least I was able to make one artistic decision about it. I’m going with the oversized prehistoric cave hyenas. I can’t provide them with an Ice Age, but to make up for that, I’ve provided them with dangerous savages who worship them as holy. Today’s spotted hyenas of Africa are pretty nasty, but these put them to shame. Hey, they ate mammoths and rhinoceroses. Now if only this rain would stop, I could get down to business. P.S.–I’m calling it His Mercy Endureth Forever. My wife and my editor like that title, so there it is. 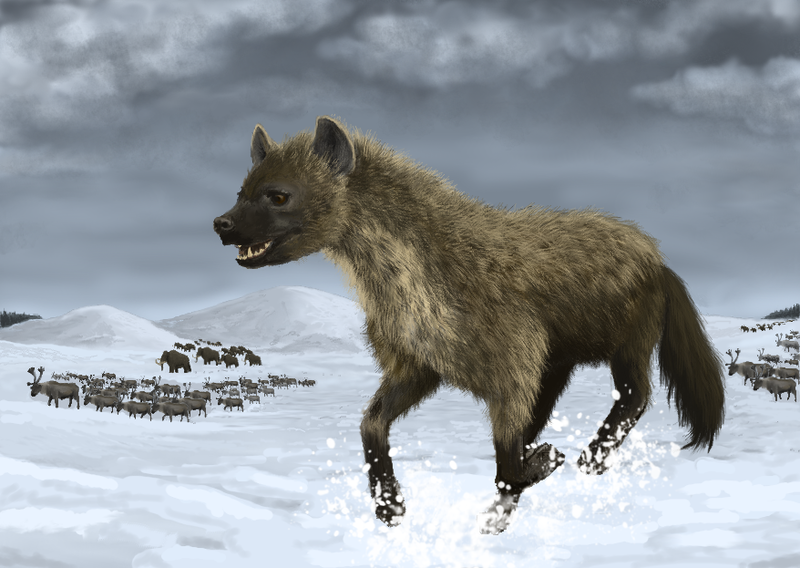 This entry was posted on Saturday, May 19th, 2018 at 1:37 pm	and tagged with bell mountain series by lee duigon, extinct cave hyena, His Mercy Endureth Forever, hyenas are dangerous predators, ice age, prehistoric mammals, The Art of Writing and posted in Book Updates, nature. You can follow any responses to this entry through the RSS 2.0 feed. I have not made rhinos available to my hyenas. Just joshin’ you a bit. Hyenas don’t have the kind of PR that other predators get. But watch out. More fantastical animals sounds great, but I don’t know about the title. All the other books start with “The.” – it seems like you would want to keep the trend going (just my input, I’m only on book 6 “The Palace”). “Bell Mountain” doesn’t start with “the”.